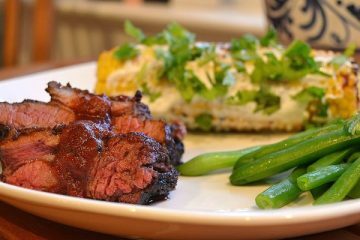 When I think of summer and food, my taste buds immediately crave a simple but flavorful grilled meal. 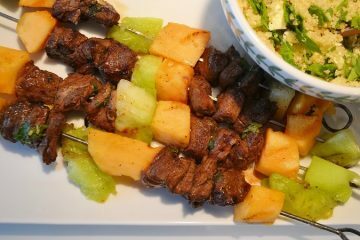 This kabob recipe fits the bill with an easy, slightly sweet marinade for both the steak and summer melons. Dipped in a cool, cumin-scented yogurt sauce and paired with a nutrient-rich brown rice side, this meal cries out for al fresco dining. With the warm weather here to stay and not a mosquito in sight, I love to grill pizza on the outside grill. 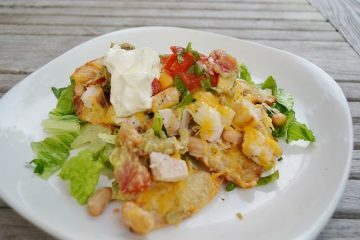 Grilling the crust adds a nice smokiness, and tastes as decadent as fast food but it’s really good whole foods eating! 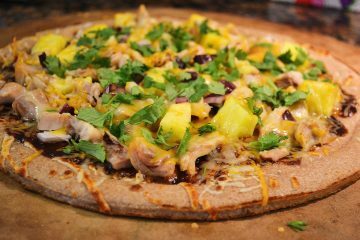 We love this version- a bit more gourmet for the adults, but kid-friendly enough that they’ll ask for another slice, or two. If you are looking for a unique, summer week day dinner that could easily be served at an al fresco dinner party, this is it. It’s familiar yet a little exotic; sure to tantalize the taste buds. 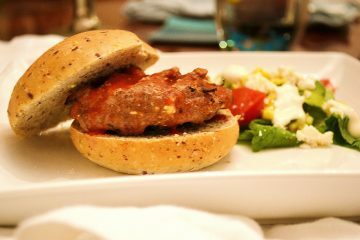 These burgers are a nice change from your typical back yard BBQ burger. Ground chicken can result in dry burgers, but with the addition of marinara sauce, spicy chipotles, and slightly sweet queso blanco, you’ll never miss the beef as this makes a moist, flavorful burger. 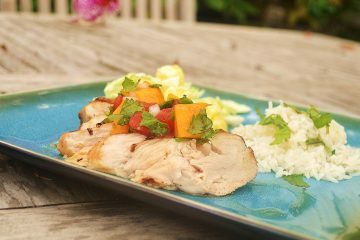 This really flavorful and moist grilled pork is one of my favorite summer grilling recipes, especially for an impromptu outdoor get together when you are sick of burgers, dogs and chicken. 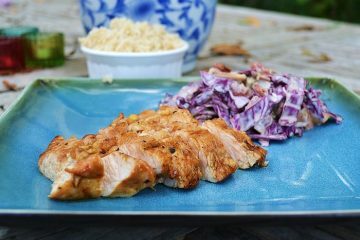 I have it paired with a fantastic fennel-red cabbage slaw, which came from my friend and The Whole Meal tester Leslee’s repertoire of easy and really fresh sides. Rice is an easy accompaniment, but potatoes salad or even grilled corn are just as delish.